If you've ever daydreamed of moving to Taiwan to immerse yourself in tea and culture, this week's interview is for you. Emilio Delpozo moved to Taiwan several years ago with the intention of studying Chinese medicine and found himself enraptured with tea, tea culture, and the local pottery techniques. 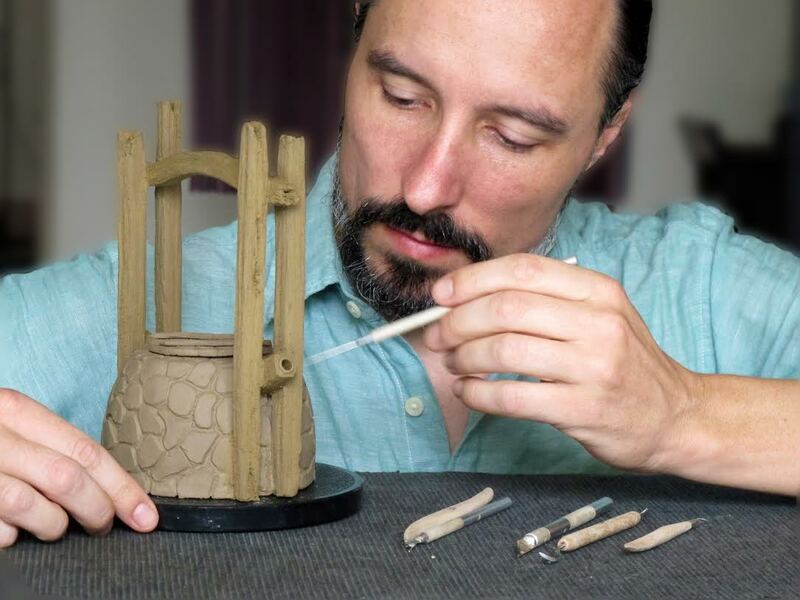 He has built up a deep relationship with tea through working at a tea house, and learning traditional pottery techniques. He has started The Jade Leaf to sell unique Taiwanese teas and his own stunning teaware. 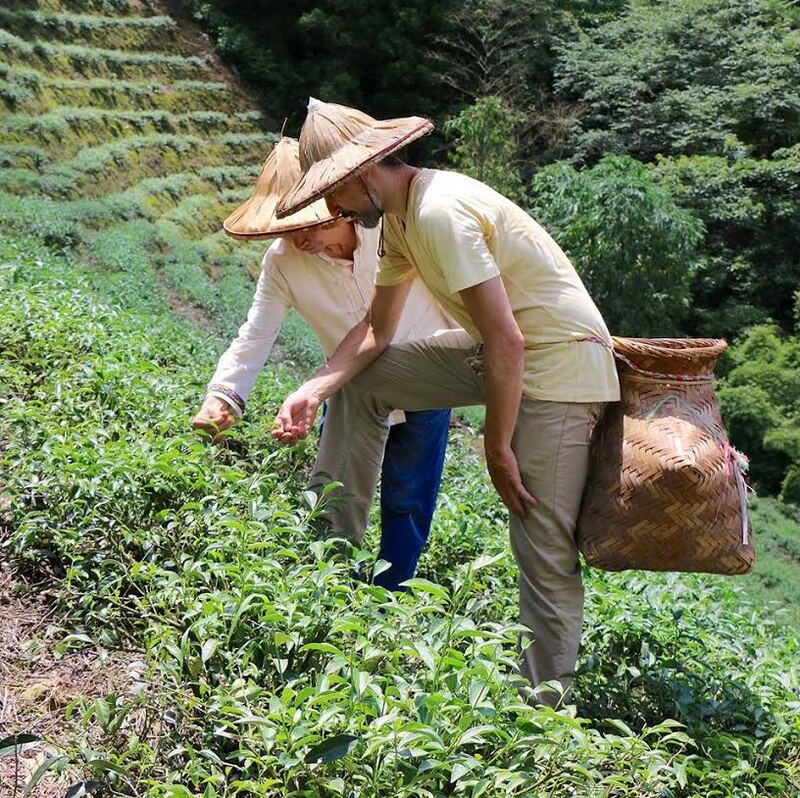 He's been seeking out tea through word of mouth, even taking a scooter around tea farming areas to discover the best he can find. Now that so many people are interested in tea it made sense that I share all the great tea I'm drinking with people outside of Taiwan. There's so much good tea in Taiwan ands there's much more variety than you would think. It seems that some people like to think they know everything about tea and have everything neatly categorized in their mind, but there's so many random tea variations to be found in Taiwan. I'm always finding new teas that I've never even heard of. When and how did you first discover tea? I first discovered tea 16 years ago when I was doing a clinical internship of Chinese medicine in Nanjing, China. I saw many people on the street walking around with glass jars half full of green tea leaves. I believe many people in the west now call that method of brewing grandpa style. At that time in China they had thermos’ with hot water in every room in the building making it very convenient to drink tea anywhere, anytime. I was intrigued by this and realized that if so many people were doing it, it must be good! That led me to the tea shops. Inside the tea shops were large glass jars filled with fresh bright green tea leaves. You could lift the lid and smell the fragrance of the tea leaves. I was intrigued by the whole experience. I was really into tea by the end of that trip. I bought lots of tea, a couple double walled glass jars and a tea set to take home. From then on I could be seen roaming the halls of the Chinese medicine campus in San Diego that I was attending with a glass jar full of tea leaves, and I've been drinking tea every day since then! How do you discover the teas you drink? Sometimes a friend who knows that I like tea will connect me with a family member who grows tea. I'll call them around harvest time and ask them to send me a sample. If I like it I'll go check out the farm and buy tea from them. Tea is a pretty big industry in Taiwan so it's quite common that people know someone who grows tea. Another way I find tea is by going directly to tea growing areas, renting a scooter, then exploring different farms, meeting the growers and trying the tea. But this method can be like finding a needle in a haystack. I've been doing this for years but I've only come across really good tea a couple times this way. All the tea I buy is from small family run farms. It’s an interesting thing that when I find a grower who makes good tea, we also get along very well. After 8 years in Taiwan I’m pretty fluent in Chinese which is crucial for making contacts. I like to get to know the grower, check out their farm, understand how and why they grow tea, how they learned to make tea etc. and make a good connection with them. In Chinese culture everything works around connections with people or “guanxi” as it’s called here. To build this connection takes patience and understanding. Once it this connection is established many more things become possible. In the tea industry, this includes the growers being willing to share their best tea or their collection of aged tea. These teas don’t just go to anyone who has the money to pay for them, you must be connected to the right people. There is a very limited amount of these and you have to have a good connection to be able to receive them. The connection with the grower is the core of my business. That’s what I offer to the customer. Your pottery is beautiful. Why did you start creating pottery? Thanks. I got into pottery because of tea. Back home I always enjoyed Hands-on work. Since moving to Taipei I was missing working with my hands. I had always wanted to try making pottery and since getting into tea even more so. By chance I came across a small studio near my house. I started learning there. I told my teacher that I wanted to learn how to make teapots. He taught me how to make the body,spout,lid and handle. I worked really hard at it and in a few weeks I was already making teapots. I actually sold one of the first teapots I made to Taiwanese friend who runs a tea business. That made me take it more seriously. You mentioned to me that the process of creating a teapot in Taiwan is very labor intensive due to high standards. How long did it take you to learn the process, and what can you share with us about the journey? Many teapots made by western potters are whimsical, fun and exciting to look at. 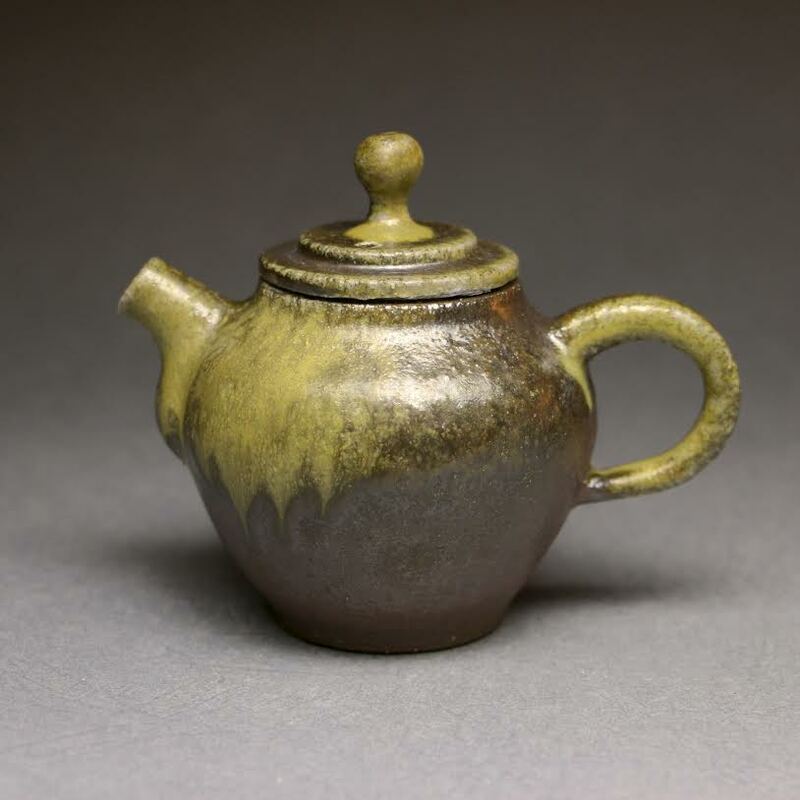 More consideration is put into the expression of the artist than into the how its size, the clay and glaze used or its design will affect it’s function for making good tea. Often details such as how smoothly it will pour, how snug the lid fits, its weight, how it will feel in the hands, or how comfortable it will be to use are not part of the design process. In Taiwan with its rich tea culture people are extremely specific about the requirements of a teapot. The type of clay used, the glaze applied and design are very important and even strict. If you want a teapot to make good tea it should be within a certain size range. The lid should have a water tight seal so it doesn't leak when pouring. The spout must have a smooth, steady flow and should break the stream of tea without dripping when pouring is stopped. The thickness of the walls and weight of the lid are all important considerations. Certain people actually have very high expectations from a teapot. For me I take all these things to heart when I’m creating a teapot. I take every measure to ensure that my teapots meet these standards as much as possible. I do my best to constantly improve my work. I’ve been creating pottery for about 4 years. I started learning at a small studio at the south end of the weekend flower market in Taipei. The shops there are run by people with physical disabilities. Usually the speed of a potter's wheel is controlled by the potter’s foot. Because of my teacher Mr. Song’s disability he was unable to use his foot so he used his hand to control the wheel. In Taiwan people affectionately refer to their teachers as “teacher” even as adults. I have warm memories of Teacher Song’s gentle manner and heartfelt laughter. I am grateful to him for sharing the knowledge of all the details involved making a great teapot. It was a challenge at first learning in Chinese because of the terminology specific to ceramics. Now I know most of the terminology. When I was learning I went to class every Sunday. I would just spend the whole day practicing what teacher Song had taught me. As a foreigner I created quite a scene learning pottery there. There were many people buzzing around in electric wheelchairs to come catch a glimpse of the guy with the round eyes doing pottery. Of course everyone was super supportive and enthusiastic. When they found out I could speak Chinese they would come back and check on me periodically throughout the day and we would chat for hours. I made lots of friends at that place. It was a great experience. What inspires you to create your pottery? Do you have a favorite technique to work with? I was originally inspired to do pottery because of tea. What I'm mostly inspired by are Chinese, Japanese and Korean pottery. I love antique Chinese teaware. I'm also inspired by some contemporary Taiwanese and European teaware makers. I really like Peter Novak’s work for example. My favorite technique to work with is using a tool to create a textured surface on the outside of the pot while it is still on the wheel. After the texture is applied I no longer touch the outside of the pot. The rest of the throwing is done from inside the pot. This causes the texture on the outside of the pot to change and warp creating really interesting and natural looking patterns and textures. Beautiful patterns can be created this way using household items such as a comb or fork. My favorite tool to use for this is a piece of bark. What was it like volunteering at the Watermoon teahouse? The Watermoon teahouse is one of the most beautiful tea houses in Taipei. It has a great ambience and vintage Shanghai décor. It's full of elegant antique furniture, teaware and they use a beautiful and unique transparent acrylic tea tray designed by the owner and tea master. It pairs well with the Yixing teapots and classic celadon cups used at the Watermoon teahouse It was a great experience to be able to spend time there serving tea and gave me the opportunity to get to know and appreciate Taiwanese tea culture on a deeper level. It also exposed me to a more subtle aspect of tea culture which is the practice of selflessness and service and patience. Why did you decide to start selling teas along with your teaware? I've been playing with the idea of selling tea for about 6 years. As an avid tea drinker I had already been sourcing tea for myself for that long. I've been keeping an eye on the market and have been watching it grow. Now that so many people are interested in tea it made sense that I share all the great tea I'm drinking with people outside of Taiwan. There's so much good tea in Taiwan ands there's much more variety than you would think. It seems that some people like to think they know everything about tea and have everything neatly categorized in their mind, but there's so many random tea variations to be found in Taiwan. I'm always finding new teas that I've never even heard of. For example I just discovered Shan cha. My friend Philip from Taiwan tea crafts introduced me to that one. A black tea made from a wild indigenous tea plant of Taiwan. I’ve met so many nice people since starting my business. It seems that people really appreciate what I’m doing which is very rewarding. What do you love most about living in Taiwan? The thing I love most about living in Taiwan is the people. People here have really good values and as a matter of principle treat others well. Taiwanese are so kind, gracious and open hearted. With a rich ancient cultural history that embraces Confucianism,Taoism and Buddhism, Taiwanese society has a solid and supportive ethical foundation in which people can count on one another in creating a harmonious society. It seem like children here naturally help others who are weaker or not as smart than they rather than teasing them. Embarrassing, insulting or humiliating others are things that people just avoid doing all together. People have an innate sensibility for getting along. It has been such an amazing, life changing experience living here. It is a very harmonious society. Crime and violence are rare. There are almost no homeless or hungry people in Taiwan. I think that says a lot about a society. I feel very safe walking down the street in any part of town. After 8 years I'm still amazed on a daily basis by the warm smiles and random acts of kindness I see walking down the street. What are some of your personal tea rituals? I love the aesthetic and aspect of tea. I enjoy creatively pairing one of my handmade teapots with a cha hai and some antique tea cups that I have in my collection. I’ll match these with an antique plate or bowl on a piece of colored cloth or bamboo mat. I'll also put out one of the miniature potted plants I keep for my tea table. I try to make the tea table as beautiful as I can because I really enjoy that. Then I'll put on some GuQin music and light some natural incense made from fragrant wood. I know a lot of people in the west think you absolutely need a tea tray to make tea. I think it's popular in China too. In Taiwan it's very common to use a small plate, bowl, flat rock, a piece of wood, or even just a cloth. I do it that way as well, it gives the tea table a touch of elegance. Thank you so much Emilio for the interview. To learn more about Emilio you can visit his website, and also view his gorgeous pottery at his Etsy store. Fascinating story! Thanks for sharing it!